Glendale law firm has more than 30 years of experience delivering results in DUI, criminal defense and personal injury cases Flanagan, Unger, Grover and McCool, Attorneys at Law is an established and well-known law firm handling DUI, criminal defense and personal injury cases. From our Glendale offices, we serve clients throughout Southern California, including Glendale, Pasadena and all of Los Angeles County. If you have been accused of DUI or drug possession, or if you need an attorney to help recover lost wages following a car accident, we have the skills and experience to successfully represent you. 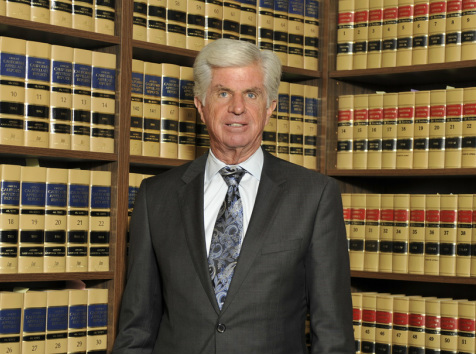 For more than 30 years, attorneys at Flanagan, Unger, Grover and McCool have been offering high quality representation that delivers results. We are a dynamic firm, equal to the most challenging cases our clients bring us. Our skilled legal services are matched by our professionalism. Attorneys J. Michael Flanagan, Charles J. Unger and James A. Grover have each earned the AV Preeminent Peer Review Rating by Martindale-Hubbell for high ethical standards and professional ability. Clients can expect the following from an engagement with us: Skilled legal services For more than 30 years, attorneys at Flanagan, Unger, Grover and McCool have been offering outstanding mediation and litigation services, selecting the best approach for each case. Focused knowledge Our firm is dedicated to criminal and personal injury law. We draw on an extensive file of case histories in these areas of practice to identify winning strategies for our clients. Results Mr. Flanagan alone has tried in excess of 600 cases to a not guilty verdict, while less than one in five of his cases has actually gone to trial. We win 80 percent of our cases that do go to trial. Flanagan, Unger, Grover and McCool offers DUI, criminal defense and personal injury legal services: DUI We analyze everything from the initial traffic stop to breathalyzer tests to provide you a vigorous defense. Criminal defense Our attorneys have experience in domestic violence, drug crimes, fraud, grand theft, homicide and manslaughter. Personal Injury Clients come to us for all types of injuries, including slips and falls and wrongful death. Contact a California criminal defense and personal injury law firm for a free consultation For legal assistance to fight a criminal or DUI charge, or to recover compensation for a personal injury, call Flanagan, Unger, Grover and McCool, Attorneys at Law at 818-244-8694 or contact us online to schedule a free consultation on the facts of your case. Glendale law firm delivering best outcomes for more than 30 years Throughout California, law enforcement officials have been cracking down on drunk driving offenses. Being convicted of operating a motor vehicle while intoxicated can have serious consequences, including loss of license, higher insurance costs, heavy fines and jail time. With more than 30 years of experience handling DUI cases, Flanagan, Unger, Grover and Mc Cool, Attorneys at Law has the knowledge necessary to overcome the evidence against you, and the ability to help you attain the best possible outcome. Committed to helping clients The DUI attorneys at Flanagan, Unger, Grover and Mc Cool understand that good people can make mistakes. We strive to satisfy our clients' emotional, financial and legal needs by zealously representing your interests at every turn. Our attorneys are knowledgeable about complex California DUI laws, and analyze every aspect of your case from the initial traffic stop to breathalyzer tests to building your defense. We know what the prosecution needs to get a conviction, and we challenge the evidence against you with the skill we have developed over more than three decades in the field. Our DUI attorneys work hard to make sure that you get the respect you deserve and the results you desire. What to do if you are stopped If you have been pulled over by the police, there are several ways that you can help yourself. Remain calm. Police officers can interpret nervousness in your voice as a sign that you are hiding something or are intoxicated. Whether you have consumed alcohol or not, remaining calm is a good way to ensure that police officers do not question your sobriety Always have a clean center console or glove box. Fumbling through these compartments to find your registration or insurance can be misinterpreted as intoxication. Keeping the glove box or center console neat and clean allows you to swiftly grab your identification and present it to a police officer. Do not consent to a search of the car. Any evidence found in your car could be used to support a DUI conviction, so do not allow the officer to perform a search. Do not take the test. Many DUI defendants have been found not guilty due to a malfunctioning breath analyzing machine or an improperly administered blood or urine test. Contact a DUI attorney immediately. Contact a California DUI firm today for a free consultation If you have been arrested for DUI, you need a qualified defense attorney who has the knowledge and experience to help you win. Call Flanagan, Unger, Grover and McCool, Attorneys at Law at 818-244-8694 or contact us online to set up a free consultation.